that have opened in Portland since I started blogging. Ten years ago, as the Bush administration's second term was beginning to take on serious water, I was working as a researcher for Portland State University and most of my serious blogging time was spent on politics. Bloggers are far more sensitive to the attractions of their own minds than writers working for newspapers or magazines, so their interests and obsessions dot their output. Public policy was far more a feature of the early years on this blog, particularly with my focus on the beer tax and honest pints. (And I know from feedback at the time that the former was not an interest of readers.) It was almost entirely a blog about Oregon beer, and I spent most of my time talking about specific beer and breweries. Now things are ... different. During that first five-year bloc (2006-2010), both beer and the media were going through a substantial change. When I started blogging, American craft breweries--basically the only category I was covering--numbered 1,400 and brewed around six million barrels of beer. There are now three times as many breweries and they're making around 25 million barrels of beer. That's obviously a huge change, but the change in media is even more profound. Twitter was founded a month after this blog and Facebook was still a college site. Blogs were still in their brief heyday as the alternative to legacy media but also occupied a quasi social-media role as convener of discussions. Everything existed on a far smaller scale then. I was blogging about a smaller beer world for a small, almost entirely local group for whom blogs were the main source of chat and discussion. Looking backward, we can see that blogs were a transitional medium between legacy news media and social media. 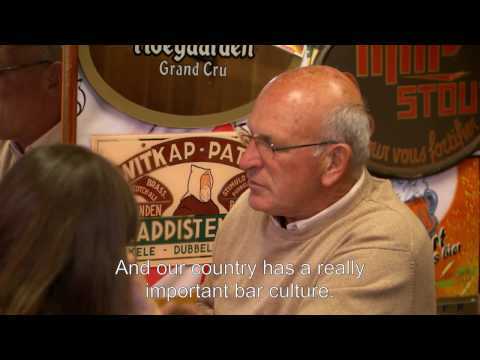 In the world of beer, that was especially important. A few newspapers still kept reporters on the beer beat, but they had in large part quit covering beer. Blogs were an avenue for what we might call "regular news": bloggers were where you went for information about events and new beer and breweries. We also provided a proto-social media function, offering opinion and discussion. Social media changed the way beer news flows, but not entirely as I expected. It does some things far better than blogs, but--critically--it does some things far, far worse. People no longer go the blogs for discussion. They were never a great medium for that anyway; without a relationship to other commenters, the discussions were often rude or snide, and they often didn't go anywhere. With Facebook, we select our discussion partners in advance, so the discussions are more cordial and usually lead somewhere. But social media is a terrible place to post longer pieces, especially ones that you want to have lasting valence in the conversation of beer. Something goes on Twitter or Facebook, and it's gone in hours, lost in the miasma of words. Social media does a great job of recreating a virtual water cool; it's crap at recreating a virtual newspaper. So over time blog content has begun to shift. Those who are doing durable, interesting stuff (current faves are folks like Boak and Bailey, Bryan Roth, Kendall Jones, and Good Beer Hunting) are getting eyeballs because we're not finding this on social media. (We are also enjoying a new golden age in professional media, though this time in the form of magazines like All About Beer, BeerAdvocate, and Draft Magazine.) Social media, desperate for something to discuss, devours good pieces. Three or four years ago, traffic here was nosediving, and I thought social media would destroy blogging. Now my traffic is far higher than its ever been, and it's clear the symbiosis between blogs and social media feeds each. It has meant that content has had to change, though. Longer pieces, more thoughtful pieces, analytical pieces--these are what people now go to blogs for. Of course, even if the medium had stayed the same, the blogger would have changed. At the start of 2010, I left Portland State and began writing books. I also began writing more articles and a year and a half ago began a roughly weekly blog at All About Beer. It's an estimate and may overstate things by 5-10%, but in this second half-decade of blogging, I wrote roughly half a million words. That's the stuff I got paid for and excludes everything on this blog. If your only connection to my writing comes through this blog, you might consider the last couple years a serious collapse in quality and frequency. I devoted less attention and less of my best ideas to this blog. (The people paying me got my best stuff.) But overall, the changes were mostly positive and, going forward, I think they'll start to appear here again. I'm more knowledgeable. 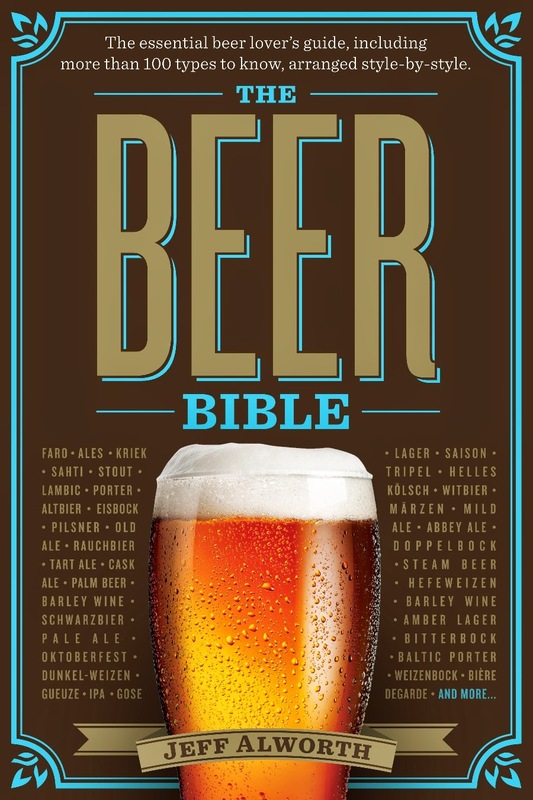 I joke sometimes that when I was hired to write The Beer Bible I wasn't qualified. It's not a joke, though--I wasn't, really. (I'd have hired Stan Hieronymus or Randy Mosher.) Writing that book was like getting a graduate course in beerology. I lived and breathed beer for two years, studying, traveling, touring and discussing, and thinking about beer basically nonstop. If bloggers didn't have a warts-and-all approach, I'd delete most of my archives because I've learned how much I didn't know when I wrote them. My palate has changed. Admittedly, this was already underway, but I was far less focused on mild, low-alcohol beers before I swam in them in (particularly) Britain, Germany, and the Czech Republic. I still drink IPAs and American sours, but far less than I used to. I write less about them, too. The blog is more international. Again, as a result of travel, I got to see inside some of the world's great breweries. It made me more Europe-focused at exactly the time Americans were moving away from imports. The audience has changed. Thanks to the two preceding bullets, I started getting readers from around the world, not just around the state. Although I am still relatively small fry as a voice in the beer world, writing books has exposed me to a larger audience. In 2008, the average reader of this blog was a Portland beer geek. He was probably a he, probably a homebrewer, and quite likely another blogger. I used shorthand a lot when I wrote because the audience wasn't so diverse. (Indeed, that probably reinforced who came to the site.) Now people find me from all over. I'm sure the majority are still quite knowledgeable, but there's a substantial and group who are new to beer. It means I don't write like I'm talking to friends nor do I assume the reader knows what technical terms are. I'm spread more thinly. I don't have as much time to devote to this blog. My goal is to post 15-20 times a month, which would be a step up over the 12 I averaged over the past two years (but well below the 1.5 posts a day I averaged in 2009). I could write more if I padded the blog with fluff pieces, but I'm also hoping to improve the quality. I do think my posts are, compared to 2008, more accurate. People don't care anymore if you're posting two or three posts a week instead of ten, so long as they're good and substantive. I endeavor to make them so. Peering into the past is a misleading endeavor. The near-past looks a lot more like the present than it really was. You have to start going back two or three decades in your mind's eye, to a time when the world looked like a quaintly odd place of giant cell phones, squarish cars, and weird fashion. There you find radical differences, like the absence of the internet. But a decade? Seems basically the same. But memories lie. The granular details of life--using our smart phones to mediate so many different experiences, staying connected through social media, unplugging from television--most of us weren't doing these things a decade ago. We have that same myopia when we look forward a decade. It'll basically look the same, we figure, except for a few minor improvements here or there. That's almost certainly wrong. I fully expect to have a car service that ferries me around in a self-driving smart car. It will take me to and from pubs, and on the way I'll be able to use my neural implant to chat with friends via Mindbook. 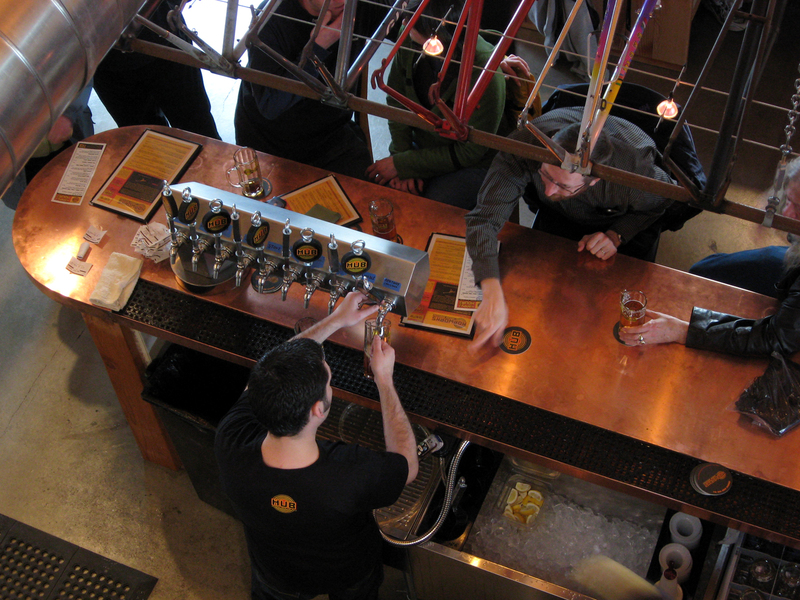 That will be handy, since another 327 breweries will have opened in Portland by then. The cool thing is, I'll be able to use that time more profitably, likesay by blogging while in transit. Congratulations, and keep on keeping on. Anyone who writes well of a beer without using "awesome" or "epic" is someone who has something worthwhile to say. Amazing what a "fun diversion" can lead to, eh? Thanks for so many hours of great reading. Thomas, thanks for the epic praise.